A short subway ride from Liberty Square takes me straight into the heart of the Avlabari district, an area of Tbilisi’s old town that houses the modern, glass-domed Presidential Palace; the Holy Trinity Cathedral; and the shabby residential blocks where the Armenian community once lived. I’m here, on the eastern side of the Mtkvari River, head down, staring at my phone, hoping to finally understand the directions to an undistinguished house, below which, a young communist named Iosif Jugashvili is said to have printed propaganda material calling for the removal of Nicholas II, Russia’s last emperor. I heard of Stalin’s secret printing house only a couple of days prior while traveling south on the Georgian Military Road from the Russian border town of Vladikavkaz. Looking for lesser-known attractions that would keep me entertained before moving on toward Azerbaijan, I came across a series of online comments that seemed to provide clear instructions on how to indulge my Soviet curiosity. Hiding below a seemingly anonymous brick house just outside the city center was a century-old machine responsible for heightening the rebellious spirit of the Russian proletarians. As I walk in circles, a passerby notices my confusion and offers to help. “Stalin?” I ask, making a hand gesture that conveys that I’m looking for something that is located underground. He laughs and points me around the corner. A hammer and sickle painted on a red circle mark the door of what I soon discover used to be the headquarters of the Georgian Communist Party. Iosif Jugashvili, better known as Joseph Stalin, grew up in Gori, a town located two hours west of the capital of Georgia, and moved to Tiflis at the age of 16 to study at the Orthodox Spiritual Seminary, but his ecclesiastical career was short-lived. In the span of a decade, Stalin’s life shifted dramatically. He entered adolescence with the prospect of becoming a priest and exited an atheist, organizer of factory-worker strikes, bank robber, and clandestine publisher of leaflets, manifestos, and papers meant to convert the whole of the South Caucasus to the new subversive doctrine. 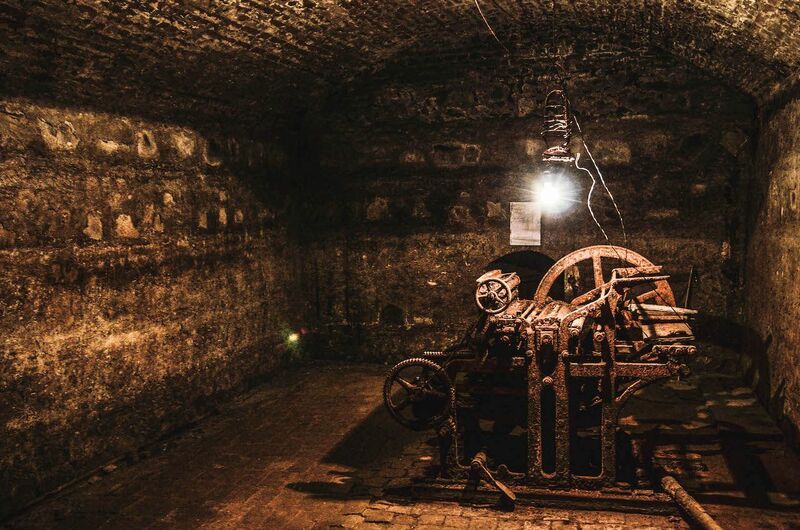 The bell employed to signal the arrival of the police was connected to a room built 15 meters underground where the 1893 German printing press was located. After obtaining authorization from the landlord, a printing press was smuggled into Tbilisi from Baku, Azerbaijan, then dismantled, lowered beneath the ground piece by piece, and reassembled inside the cellar, which became a printing house in 1903. To access the room, the Bolsheviks had to climb down a well and enter a lateral passage dug up in the wall leading to the secret chamber. 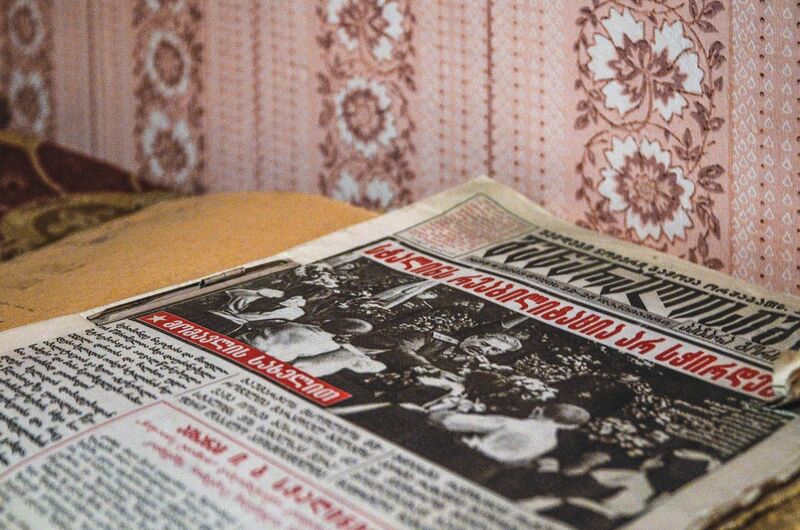 Thousands of pamphlets were printed illegally in Russian, Georgian, and Armenian and distributed to spread revolutionary ideas throughout the region. Stalin had then abandoned the Seminary and was becoming an important figure in the revolutionary movement, thanks to both his unusual money-raising methods and the large workers’ demonstrations he succeeded in organizing. He was arrested in 1902 and, a few months later, deported to Eastern Siberia to serve a three-year sentence. After a first failed attempt to escape, Stalin managed to return to Tiflis and began working at the printing house in 1904, supported by his allies of the Bolshevik movement. The printing house was discovered by accident in 1906 after the police, suspicious of the constant comings and goings at the house, decided to inspect the building. 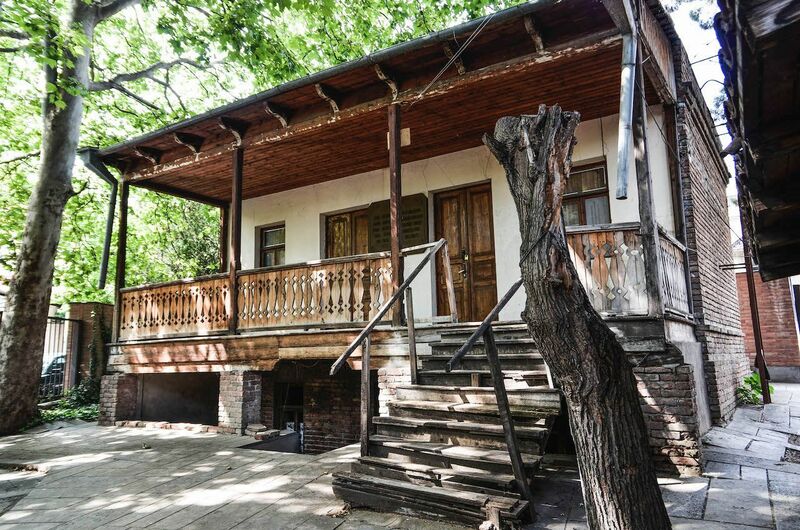 The printing house, with all its equipment and printed material destroyed, was locked down and left to rot for 31 years until Stalin became the leader of the USSR and decided to give it a second life by transforming the former clandestine workshop into a museum. 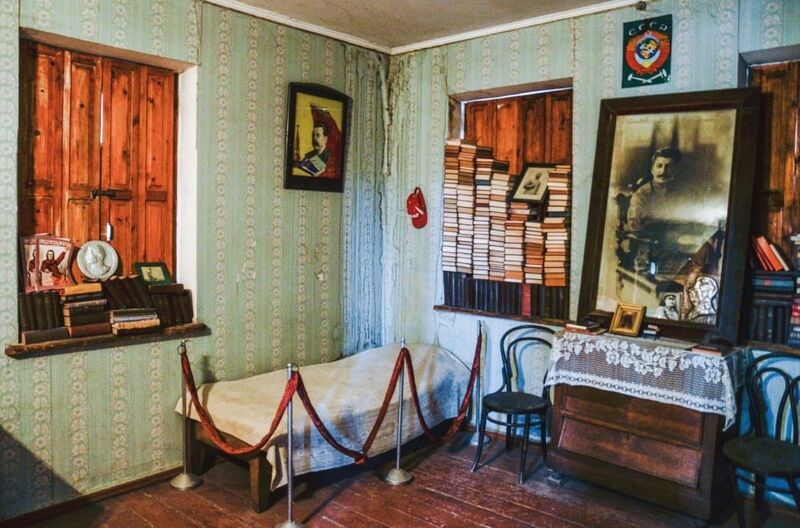 With the German printing press restored and a metal spiral staircase built as an alternative entrance to the subterranean chamber, Stalin’s printing house became a popular destination for those interested in learning about the origins of the 1917 revolution. Entering the dark, cool room containing the press now covered with a layer of rust is a surreal experience. 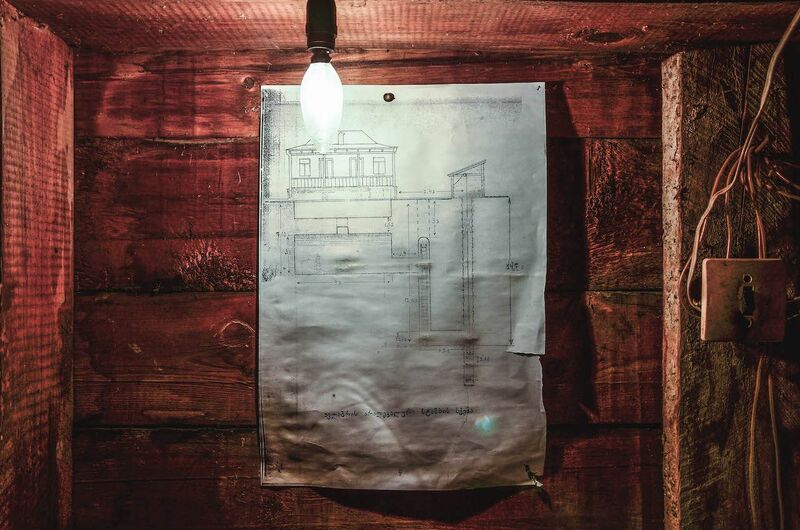 A map lit by a hanging light bulb shows the original network of tunnels one had to navigate to reach the room and get working on the machine. In the ceiling, the original access point opens into a rectangular black hole. Georgia’s Soviet history is slowly disappearing since the government decided to actively break away from its past and get closer to Europe, but the Georgians are still divided on the topic. 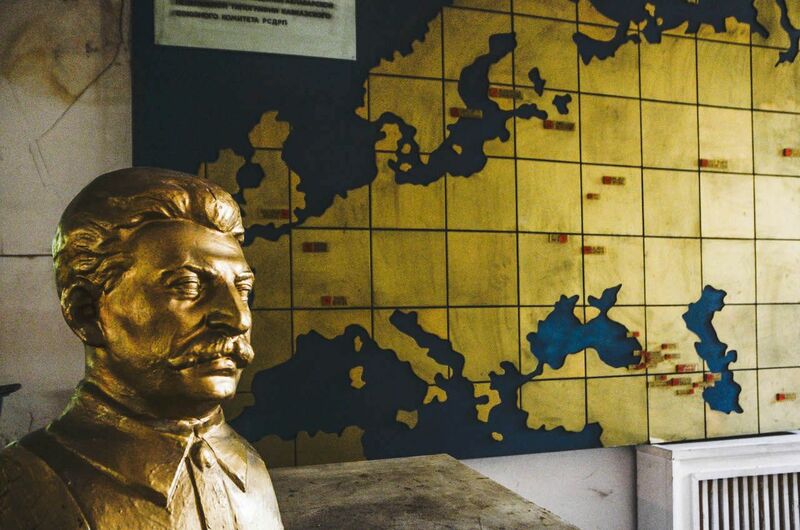 In Gori, the six-meter-high statue of the dictator that had been standing in front of the town hall since 1952 was removed with the promise of being substituted with a monument to honor his victims, but Stalin’s birthplace and museum — a famous tourist attraction on which Gori’s economy relies — remains untouched. “Come, let me show you our office,” says Pipia noticing my interest. 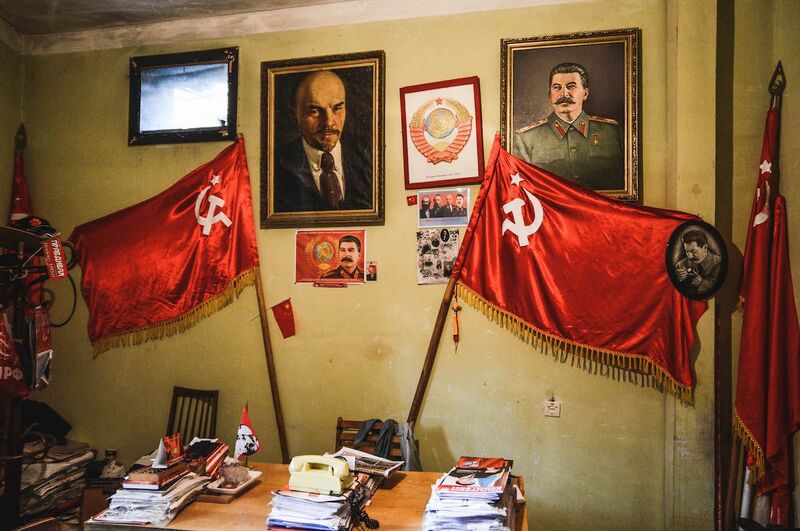 Two large red flags and framed portraits of Lenin and Stalin hang on the wall. An old telephone with a rotary dial sits at the center of the wooden desk, surrounded by newspapers and piles of documents. “This is where we try to keep things from falling apart,” he says laughing.